YOU can’t stand still in the automotive world. So, if you’re Holden’s product planning team, and you’re preparing for an import only future, you need vehicles you can bank on, like the Trax. Wait, what? 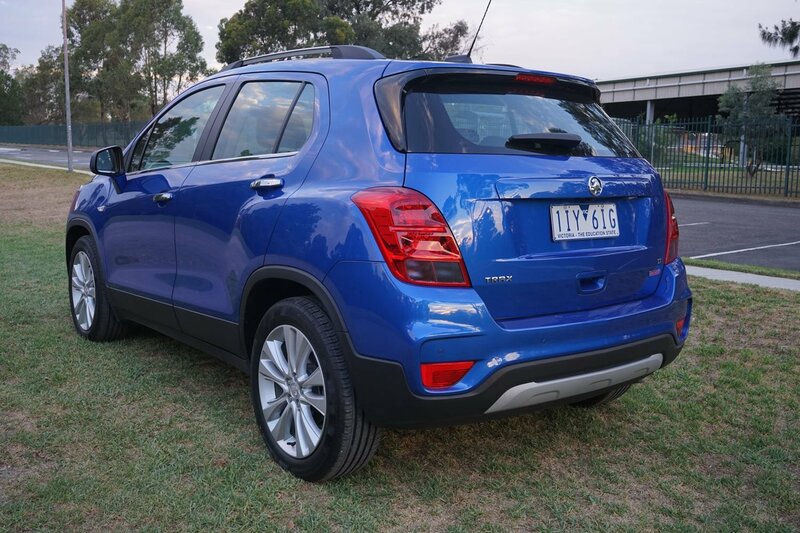 Now you might screw your nose up at that, but the Trax was Holden’s first compact SUV, and for the record, ahead of its competitors by some months. And while back then it wasn’t as pretty as it is now, it was there in the beginning. 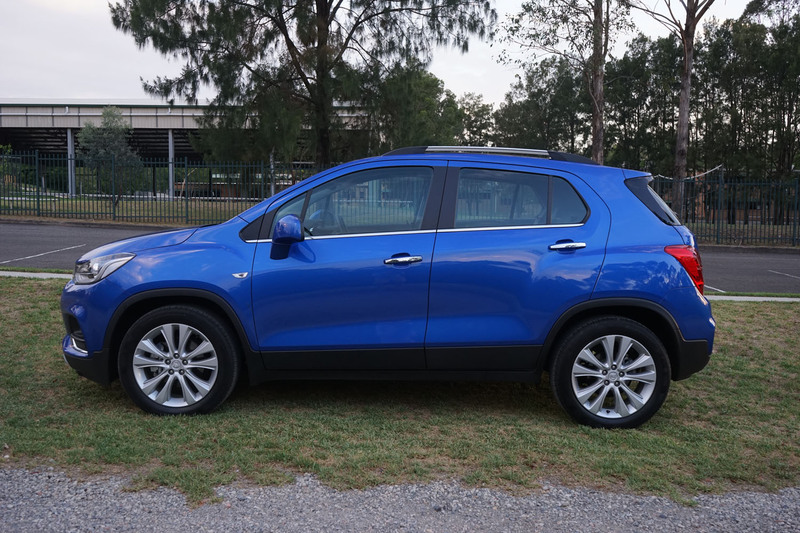 Completely refreshed in 2016 and with styling tweaks in 2017, the Trax has some runs on the board, and by golly, the sales numbers are doing okay despite it looking a bit boxy and awkward. We’re driving the LT, but it also comes in a base model LS and premium LTZ variant. All versions come with a 1.4-litre turbocharged 4-cylinder petrol engine making 103kW of power and 200Nm of torque, mated to a six speed automatic. There’s a 1.8-litre naturally aspirated 6-speed manual option for the base model LS, but we suggest you avoid that like the plague. Holden claims combined fuel economy of 6.7-litres/100km but the best we could manage was an 8.2-litres/100km. It’s good around town from a power perspective, but it could do with some more gusto under decent acceleration, if that makes sense. Being small though means it’s easy to throw around, and it keeps its balance through corners and roundabouts. 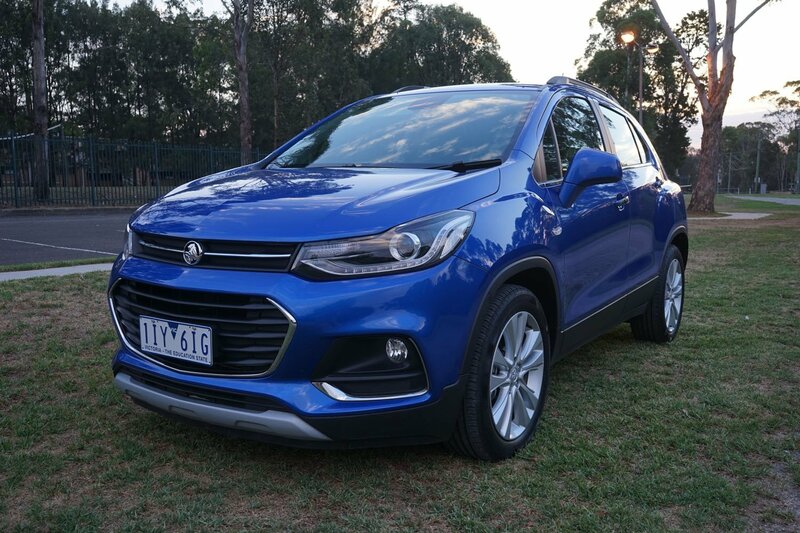 Built on the Barina’s Gamma II chassis, the Trax doesn’t really stand out in traffic, but is still pleasing to the eye all the same. It features a Chevrolet designed open mouth grille with fog lamps low on the fascia, plus LED DRLs and halogen headlights. The rest of the exterior sports chrome highlights with roof rails on top and 18-inch alloys under the carriage. Its updated look also includes new front and rear bumpers, with a new dash and some other minor tweaks inside. The interior is what we’d describe as conservative, but there’s no doubting the changes have made the Trax more attractive and the addition of Apple CarPlay and Android Auto further bring it inline with a number of competitors. There are a lot of hard plastics on the inside, and the design of the dashboard offers easy to spot and easy to reach controls as you require them. There’s no native SatNav in the 7.0-inch touchscreen infotainment unit though, so you’ll need to hook your phone up. We struggled with the infotainment system. It misbehaved often, with multiple button touches required to get it to do certain things, while the volume level between Bluetooth connectivity and the radio were completely at odds with each other. Ventilation is very good, despite it being just a single zone, but you’ll need to live with a noisy fan if you crank the air to gale force. It’s a first world problem we know. Seating is oddly comfortable. We say oddly because when you first get in, it feels like they’re flat and unsupported, but in fact it’s quite the opposite. Vision is good everywhere, with no real blind spots, an added bonus of some good pillar design. There’s enough adjustment on the steering and seat to get comfortable behind the wheel whether you’re short or tall too, and head room is exceptional, even with the sunroof in place. It gives the whole cabin a nice airy feel. In the back things are a little tighter and while you can sit reasonably comfortably, there’s no spare room for your knees; giving you the feeling you’re pushed up against the front seat, even if you’re not. It’s also not super wide back there, so two adults only. 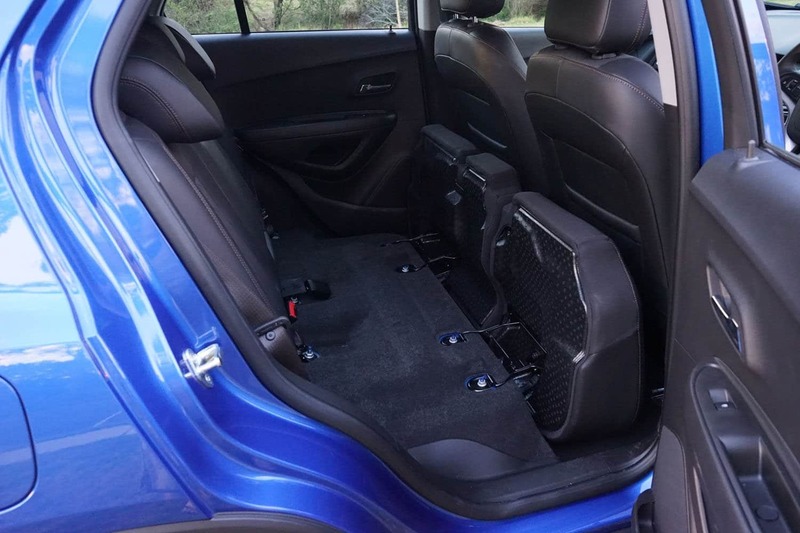 It officially plays in the sub-compact SUV space, and has some stiff competition from the likes of the Hyundai Kona, Mazda CX-3, Nissan Qashqai and Mitsubishi ASX, but despite an RRP of $28,990+ORC, it can be bought for as little as $26,990 drive away. Holden clearly wants to be competitive in this space, and coupled with its 5-year warranty, the Trax LT delivers an easy to drive small SUV that offers a good amount of standard features and reasonable interior space. 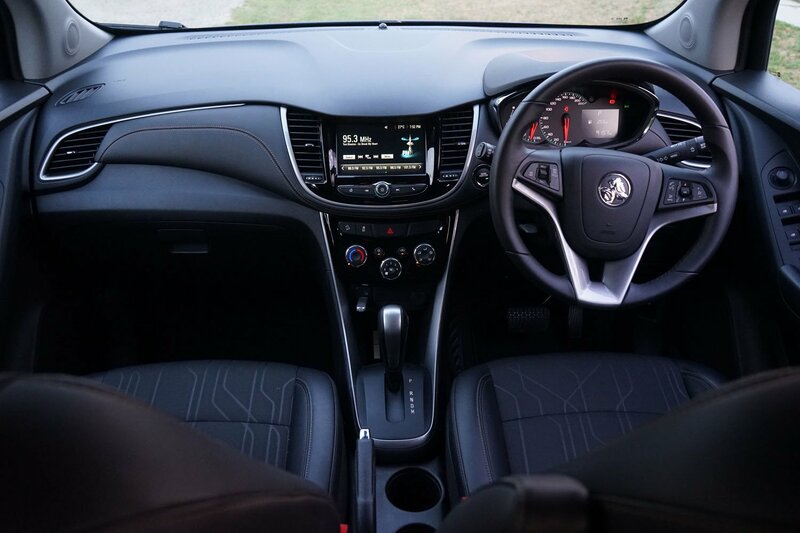 The 2018 Holden Trax LT is available in Summit White, Nitrate Silver, Abalone White, Son of a Gun Grey, Boracay Blue, Burning Hot, Absolute Red and Mineral Black. Our test vehicle was supplied by Holden Australia. To find out more about the 2018 Holden Trax LT, contact your local Holden dealer. Pros - great new look; good technology; drives well. Cons - interior feels cheap; under powered; thirsty on fuel.